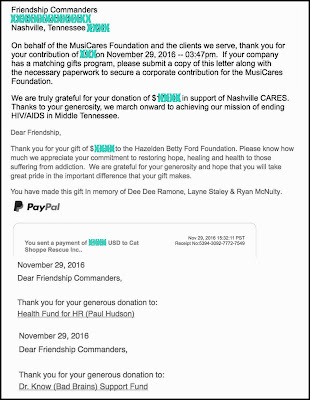 Friendship Commanders: THANK YOU FOR MAKING OUR MISSION POSSIBLE! 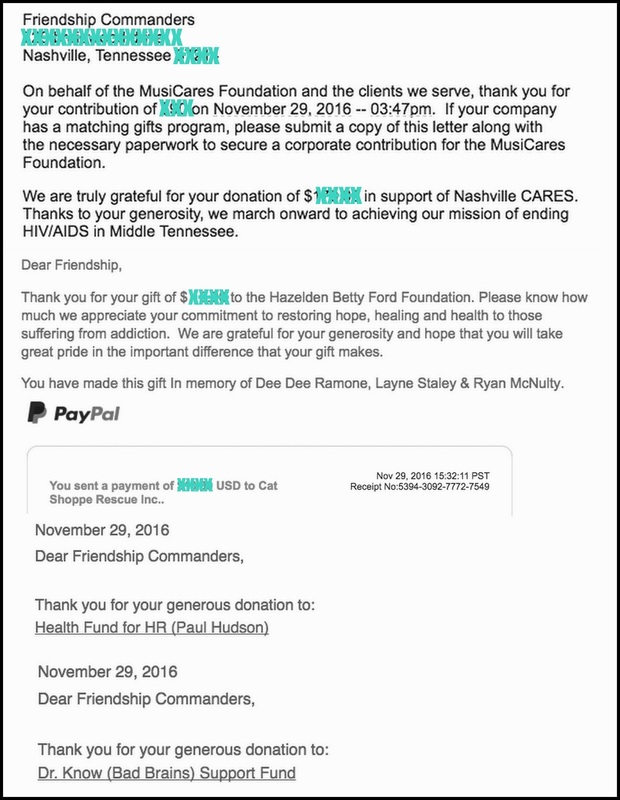 THANK YOU FOR MAKING OUR MISSION POSSIBLE! You may or may not know that several of our releases and merch items benefit causes which are close to our hearts. Your support of our music makes it possible for us to contribute to those causes. For that and so much more, we are grateful. We were able to make six donations this week, on Giving Tuesday. The details are listed below. One again, huge thanks for a positive year filled with purpose.